Extra wide Aluminium rail frame creates a steady structure. Chrome finished stainless steel knob handle,Including waterproof seal. Universal design,Easy to install,including full installation instruction and all fixings. Slimline - At just 40mm high, Our stone trays are amongst the sleekest on the market. 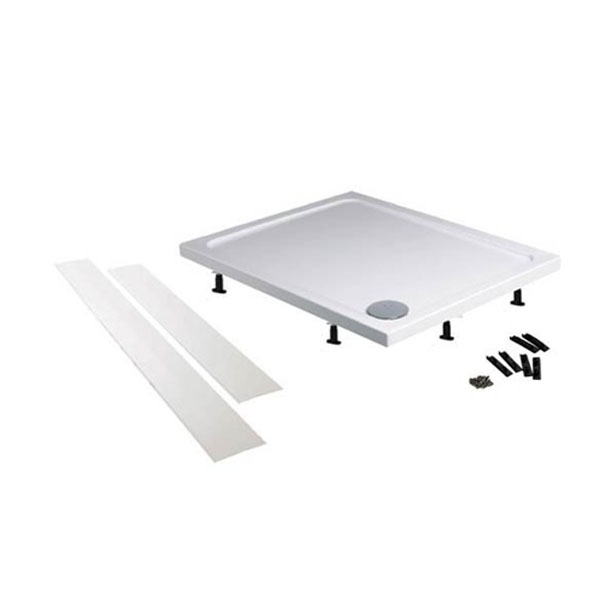 If you need to rise up the tray to make the waste goes above the floor for easy plumbing, you will need our 'riser kit'. Please click below picture to view.